Micki Peluso, a writer and dear friend, out of the State of New York, wrote her first book after her daughter met her untimely death, which was caused by a drunken driver. However, And The Whippoorwill Sang is more than a book detailing the loss surrounding the suffering of her family and herself as a mother. It is a short chronicle of the golden age when women’s rights were still practically unacknowledged, and Gloria Steinem was slowly becoming a household word. The book is witty and filled with wisdom; it is sad, and yet filled with joy. I have read the book, and I have re-read certain chapters several times because Micki has a way of putting words on paper that make you laugh even though you may want to cry. And The Whippoorwill Sang is being offered at a reduced price this week. If you haven’t read it, it is worth the reading. 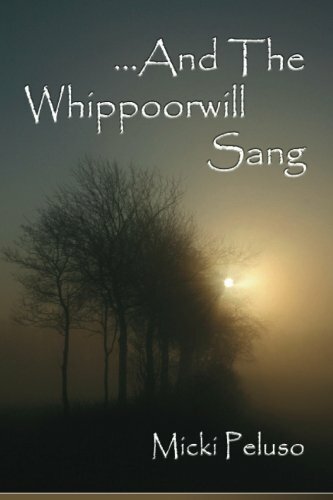 If you have read it, then consider investing in And The Whippoorwill Sang as an Easter gift for someone you think will enjoy it. Recently, while helping someone out that needed help urgently, I experienced the pain of letting go. Letting go of someone by death is difficult, but I believe it is more difficult to let go of people with whom you have celebrated birthdays, weddings or with whom you have celebrated many meals together. These are the people you have called friends, people who have played an integral part in your life. These people have not departed this world but have separated themselves from your life, by moving in a different direction on their life journey. This kind of departure is not easy. Yet the Bible is full of people who had to let go. Abraham had to leave a family that he treasured. Moses was put in a basket by his mother and floated on the Nile with his sister watching to see where he landed. Brothers, who hated Joseph the dreamer, forcefully moved him away from his loving and doting father. David had to leave his beloved home and go in the King's castle to play on his harp, and lift the depressions that King Saul had. Samuel was given up as soon as his mother, Hannah, weaned him and given to Eli the wicked Priest who was more afraid to chastise his own sons than to make sure that everything ran properly in the LORD's Tabernacle. Mordecai gave up Esther to the harem of King Xerxes, the ungodly ruler of 127 provinces and at the appointed time, she was able to save a nation. These are only a few of the biblical instances where people were put into situations where they had to let go. What does that say to you? How many of you are willing to let go of the old? To stretch yourselves into something new or to let someone new into your circle of friends; someone or something that will not only change your life and your way of thinking, but will affect the lives of those people you normally come in contact with. Is it not often so, that you get so comfortable in your little niche, with your little group of friends that you feel immediately threaten by someone new or something new? At the beginning of the year, I began my rehearsals with my pianist in preparation for our first band practice at the end of February. His son, barely four years old, came to the door as I rang the doorbell. His father said to me, "Simon wants to be a part of your rehearsal. He wants to watch you sing." This was something that I had not experienced for a long time, nor had I expected it. Normally, I relate to his father and mother. We are adults and have things in common with one another. However, here was a four year old wanting to be a part of my circle. I must admit that I thought he would not stay there the entire time. After all my voice has a natural and unusual loudness and in a small room, it is even louder. In addition to that, his father and I tend to repeat a song until we both have reached the level of professionalism, where the song is buried in my spirit. Needless to say, I was surprised when that little tiger stayed in the room, the entire time. He did not even try to distract us and as I sang, every now and then to him, he would look directly into my eyes. 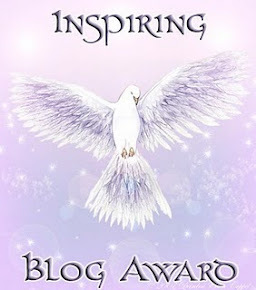 It honoured me and made me realized that I had just won another friend. It also made me think of letting go and being stretched. Letting go of my perceived perception of who belongs in my world and allowing myself to be stretched so that a little tiger like Simon could enter in. My circle became a little wider that afternoon because a new friend had entered into my life that I have had to learn how to relate to. So, let go and let yourself be stretched. Don't limit yourself to your little world. Sooner or later you will find yourself stagnating. Doing the same old thing or hanging around the same old people all the time is not good for anyone. No wonder Jesus replied to the crowd when his mother and brothers stood outside wanting to speak with him, " Who is my mother, and who are my brothers?" Pointing to his disciples, he said, "Here are my mother and my brothers. For whoever does the will of my Father in heaven is my brother and sister and mother.